At Leckner Chrysler Dodge Jeep Ram, we strive to help our clients stay safe when they are behind the wheel. 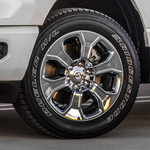 The Mopar® Vehicle Protection Road Hazard Tire & Wheel Plan provides coverage on tires and wheels that are damaged because of road hazard conditions. 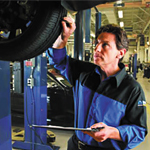 It also covers mounting and balancing costs for original equipment manufacturer (OEM) and aftermarket wheels and tires. The plan comes with a $0 deductible per repair visit and $100 Sign-and-Go towing and roadside assistance. It covers road hazard conditions that include damage from curbs and potholes. The 7-year/100,000-mile Powertrain Limited Warranty covers repair and replacement of powertrain components, such as driveline, engine and transmission. The Jeep Wrangler is a vehicle that you should be interested in if you want a truck. 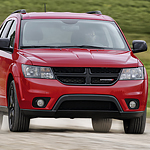 It has exterior features that make it a fun and affordable vehicle to have. One of its key features is a windshield that can be folded down to let the air in. The 2019 Ram 3500 is a large and tough full-size pickup truck. Even though this durable vehicle is built to survive tough external conditions, it still bends over backwards to provide drivers with convenient cargo sorting capabilities. 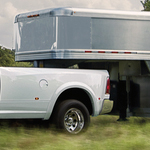 To this end, the Ram 3500 presents the RAMBox cargo management system. The system includes lockable and drainable cargo bays built into the side of the vehicle bed. 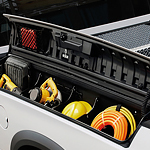 In addition, the RAMBox cargo system equips drivers with special cargo bed dividers and extenders that can provide yet more room and secure space for cargo. Have you seen the latest Jeep SUVs? The new Jeep Cherokee is out and stunning from interior to exterior. The new designs feature cozy, soft-touch styles as well as cloth upholstery, and there are plenty of upgrades. The options are endless for customization, but even in the base trims, you get a lot of features that weren’t available in the previous models. 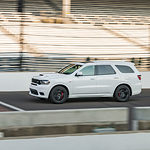 One of the innovations that we at Leckner Chrysler Dodge Jeep Ram have noticed with an automobile is the set of lamps that are included in vehicles such as the 2019 Ram 1500. They bring about not only a better ability to see for the driver but also an impressive appearance from the vehicle. The front end of the vehicle is quite impressive for the customer. The headlamps and the grille design is not only aesthetically pleasing but is also helpful when it comes to the efficiency of the vehicle because of the reduced drag of the vehicle. Thinking about getting into a Challenger? You should! It’s rated one of the top sports cars in the world currently. US News & World Report ranked the 2019 Challenger as fourth in sports cars with high marks in performance and interior features. Part of that is because of the technology. The Dodge team has updated Uconnect to have more customization features, larger icons, and an interesting menu that you can control by voice and touch. The 7-inch touch screen display, Bluetooth, USB ports, Apple CarPlay, and Android Auto are all new and standard for the Challenger.